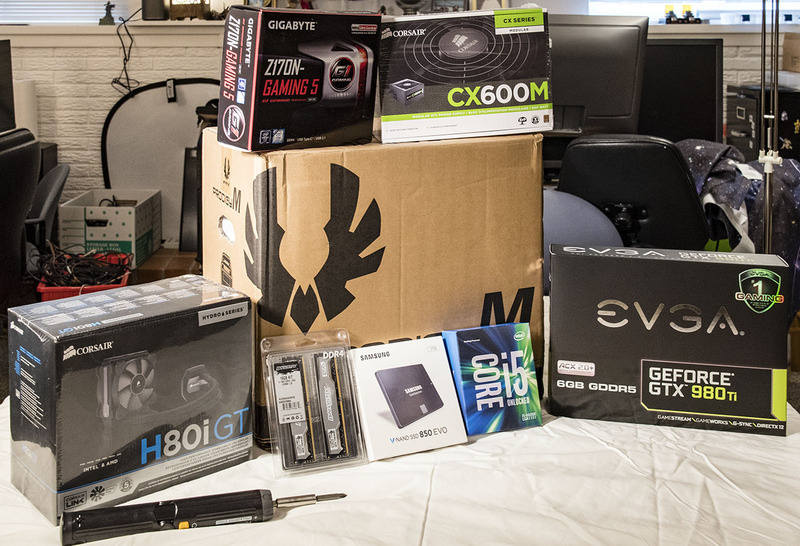 Recently, I’ve been fielding a lot of questions related to buying or building gaming PCs. At the recent E3 Gaming Expo, Microsoft announced the Xbox One S, a more svelte, more powerful Xbox One capable of 4K output. The company also mentioned it would develop an even more powerful Xbox One, code-named Project Scorpio. Oh, yeah, and all Xbox One consoles run a flavor of Windows 10. Oh, yeah, those sound like sealed box PCs, complete with x86 processors, Radeon Graphics running DX12, and other PC-like features. Meanwhile, Microsoft also disclosed Xbox Play Anywhere, which will allow interchangeable gameplay no matter the Microsoft platform. In some respects, it almost sounds like Microsoft is throwing in the towel on the pureplay console business, but it’s likely a savvy move. Xbox One lags behind Sony’s PS4 by a signficicant margin, so enabling Xbox One games to run on Windows 10 PCs makes good business sense. Microsoft can now tell game developers that the installed base for their games isn’t just the Xbox One console (and their derivatives), but also every Windows 10 PC with a halfway decent graphics card. Xbox One exclusive now means any Microsoft DX12 platform. The strategy puts Sony in a tough spot. While the Japanese company holds a commanding lead in consoles, they can’t match the installed base of Xbox One plus Windows 10. On the other hand, Sony’s been pretty smart. The Playstation is strongly positioned as a gaming console, new features such as Vue give Sony inroads into streaming media, something Microsoft has actually backed away from a bit with Xbox One. Plus, Sony Vue runs on non-Playstation platforms, including iOS and Amazon’s Fire OS. So it’s role reversal all around: Microsoft makes noises like it’s re-dedicated to gaming — especially PC gaming. Sony positions itself as a media delivery agent as well as a console game company. From my own perspective, it’s fun to see this much attention focused on PC gaming. The market for PC games and gaming gear, including specialized peripherals, seems richer than ever. So yeah, what goes around, comes around.